Become a member and enjoy great benefits! Why become a KMS Member? By supporting KMS with your membership, you are helping to preserve and promote Kenyan history, culture and artifacts. At the same time you’ll have fun at activities and events in the company of people who enjoy the same interests as you. Did you know as a KMS member you are entitled to free entry to all national and regional Museums, prehistoric sites and monuments around Kenya? Sites are Fort Jesus, Lamu and Kaya Forest, all located in the Coast province. The sites and monuments open to the public include Gedi Ruins, Hyrax Hill, Jumba la Mtwana, Kariandusi, Koobi Fora, Mnarani, Olorgesailie, Rusinga Island, Songhor prehistoric site, Takwa-Manda Island and Thimlich Ohinga, Tom Mboya Mausoleum, Kanam prehistoric site and Simbi Nyaima in Kisumu. 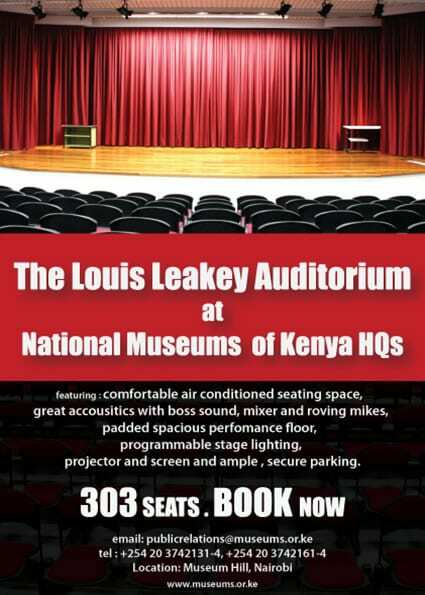 Free entry to the Nairobi National Museum and most regional museums, prehistoric sites and monuments around Kenya. Bird walk with Nature Kenya at Ksh 200 and reduced rates on tree walks with FoNA. Monthly newsletter Tracker to keep you abreast of KMS and NMK activities. Email updates on KMS and NMK activities. KMS annual publication, Kenya Past and Present. Reduced advertising rates in our monthly newsletter or the annual magazine. 5% discount on books, purchased at the Kenya Museum Society Shop, inside the Nairobi National Museum. Free borrowing privileges at KMS Office library. Free reading privileges at Nature Kenya/National Museums of Kenya library. Membership applications are considered only after full payment is received. When using your KMS membership to gain entry to NMK Museums & archeological sites, you must also provide your personal identification card. Corporate members using membership cards should provide their organization job identification. KMS membership is not transferable. To apply for or renew your existing membership, please fill this form and click on ‘Send’. We will contact you in due course. Visitor membership is valid for one month, only. Family Membership includes spouse and up to 5 children below 18 yrs. Business Membership (Kenya) is entitled to up to 8 membership cards. Kenyan residents residing outside of Nairobi. One membership card, only. Please note that, fees for overseas membership are USD 50. The amount shown in KES is an estimate only. Please check with your bank for the actual current exchange rate. You may list here the names of staff (max 8) authorised to use your membership. If left blank, anybody who has the card may use it. To pay by cheque, make out your cheque in favour of: 'Kenya Museum Society' and drop at our office or the shop at the National Museum in Nairobi or post to P.O.Box 40658–00100 Nairobi, Kenya. You can pay by cash at our office or shop only! You can pay by VISA/Mastercard at the KMS shop at the Nairobi Museum only!